The Free Yezidi Foundation has established a women's center in an IDP camp in the Kurdistan Region of Iraq. Now that the center is established, FYF seeks funding for programs to be delivered throughout 2019 for female Yezidi survivors. 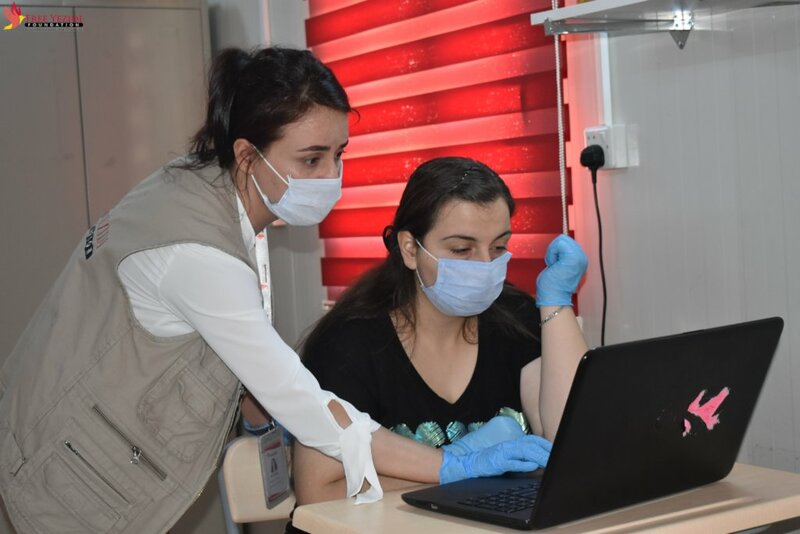 Because Yezidis have suffered horrendous cruelty during the ISIS attacks, safe spaces are essential to provide an opportunity for healing and post-trauma recovery. In 2014 ISIS terrorists invaded various parts of Iraq, killing untold numbers of civilians. In August 2014, ISIS invaded the city of Sinjar and surrounding areas, home to a religious minority population, the Yezidis. The terrorists killed the men and captured the women and girls, forcing them into abhorrent sexual slavery. Some girls managed to escape or were rescued through third parties. These women and girls are in desperate need of post-trauma psychological assistance. The FYF Women's Center itself is a safe space for Yezidi women and girls, offering activities such as art therapy, sewing, and computer & English language courses. In addition, beneficiaries will have access to a full-time British psychologist and participate in a business skills courses and human rights / women's rights costs. The three-month program is designed to build confidence and plant seeds for future educational growth and development of livelihood skills. The trauma that has been inflicted upon these women and girls is beyond description. The Women's Center will firstly provide a much-needed safe space. The Women's Center will focus, on the surface, on arts and education. In this context, women can obtain skills useful to them in the future. But through the Center, they will also have access to quality post-trauma treatment. With this structure, the women and girls will have the tools to begin rebuilding their shattered lives.